A recent survey from J.D. Power and Associates revealed that American Express is once again deemed America’s favorite credit card. Even in the midst of credit card companies being scrutinized for their questionable treatment of cardholders, this card issuer seemed to remain in its customers’ good graces. What makes American Express cards so popular in comparison to the other big name card companies out there? Let’s take a look at what makes AmEx one of the best credit cards available in the eyes of many–and why you might end up liking it, too. According to the J.D. Power survey conducted in March and April of 2010 and released last month, American Express is the credit card issuer of choice for the fourth year in a row. Based on a 1,000-point scale, the card issuer ranked 769 in customer satisfaction, which was 55 points higher than the industry average. 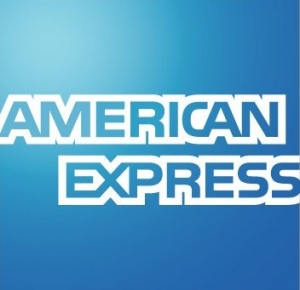 While many cardholders were pleased with other cards, particularly the customer service they receive from Discover, American Express cardholders were happy about the benefits and rewards that they received with the card, which seemed to exceed those offered by other issues. Also, customers were especially pleased with the way AmEx markets all of the rewards and benefits being offered so that customers are aware of all their options. He has the American Express Zync Card and gave it a rave review, deeming it “my most recommended credit/charge card product for anybody under 30.” Reasons for this claim were it only costs $25 to acquire, it requires monthly payments be paid in full (to keep balance under control) and it does not charge interest or have credit limits. He also loved the customer service he received from the company. The American Express Gold Card came highly recommended by Ask Mr. Credit Card. According to the review, though the card comes with an annual fee, the rewards provided y the card far outweigh what must be paid yearly. Some of the benefits of the card include the ability to transfer points into air miles and book travel via American Express’ own travel site (powered by Travelocity). The reviewer also enjoyed the amount of prestige that came with owning the card since it is so highly respected in the business world. Former About.com guide, Grieg Waddell, gave a review of the American Express Platinum Card for business travel and found that for frequent travelers, the card is extremely beneficial. Some of the pros of the card included free companion tickets, airport lounge access, travel protection, concierge service and an excellent rewards program. However, he wasn’t thrilled about the expensive annual fee and inability to carry over balances. Overall, he gave the card a high review and thought it was a great business credit card to acquire. Has the CARD Act Improved the AmEx Cardholder Experience? It seems the survey and reviews from customers show cardholders were typically pretty impressed with their AmEx experience before the Credit CARD Act was implemented to regulate the credit card industry. However, now that the act has taken effect, cardholders across the board are very please about the heightened awareness they’ve been granted, like knowing when their issuers will raise interest rates or make account changes. There’s no doubt that you will run into tons of credit card offers–and many will be great–but if you’re looking for a positive credit card experience, you might consider making American Express your next card issuer. Coupling up your cards will get you everywhere.